Toni Piccolo, AIFD, from gia bella flowers & gifts in Burlington, Wisconsin, is the winner of the 2016 Bobbi Cup design competition. The annual competition is open to any member of the North Central Chapter of AIFD. Designers who wish to compete put their names in a drawing, and six are chosen to participate. 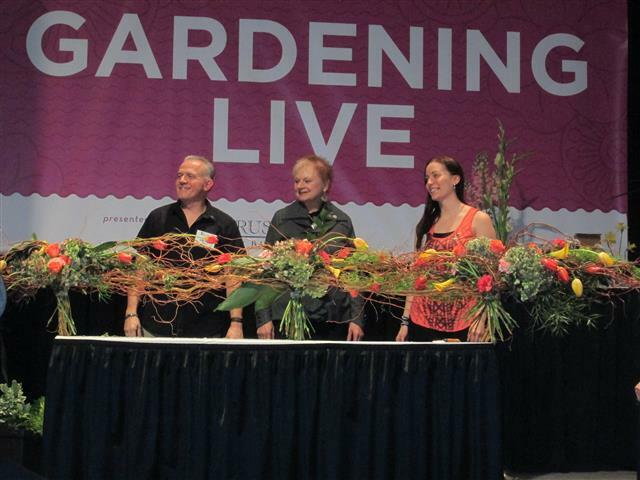 The event was held at the Flower and Garden Show at Navy Pier in Chicago. 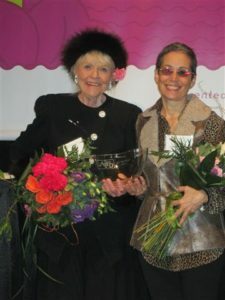 This annual competition which honors Bobbi Ecker-Blatchford, AAF, AIFD, PFCI, showcased six professional designers. First runner-up was John Windisch, AIFD, Elk Grove Village, Illinois, with Deborah Strand, AIFD, of Cary, Illinois the second runner-up. 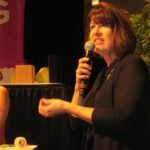 Other participating designers were Laura Daluga, AIFD, Ann Arbor, Michigan; Laurel Hollopeter, AIFD, Iowa City, Iowa, and Casey Murdough, AIFD, St Charles, Illinois. 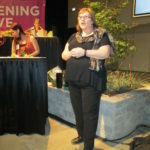 The event was commentated by Bobbi Ecker Blatchford, Loann Burke, AIFD, PFCI, and Laura Parker, AIFD, CF, with stage assistance from Alice Waterous, AIFD, CF, PFCI, and backstage help from Brent Leech, AIFD. Additionally, a student competition was held. Students were asked to create an interpretive design representing what Chicago meant to them. First place in the student contest went to Leslie Hertz from Triton College, a student of Sue Vanderhulst, AIFD. Janet Gallagher, AIFD, Kishwaukee College instructor, and her students participated in the “Make It A Go” project where visitors to the flower and garden show could make fun floral novelties to take home as souvenirs. Brent Leech, Alice Waterous, and Laura Daluga teamed up to create this “Six Handed Hand-Tied Bouquet” all at the same time. The event was presented by the North Central Chapter of AIFD and sponsored by Kennicott Brothers, Oasis Floral Products, Fern Trust, Rio Roses, and the California Flower Shippers and UCI Unlimited Containers, Inc.